The amp was voiced by Naim’s Technical Director Roy George, and gave a sound familiar to Nait 1 owners, but had a little more punch in the bass, a fractionally wider and deeper soundstage and slightly less bias towards a bright, forward midband. But it was still pure pleasure to listen to, and outpaced pretty much all of its ‘super integrated’ competition. Inca Tech’s Claymore had more power and a bigger, richer sound but didn’t quite capture the energy of a musical performance, and Exposure’s (then) brand new X integrated was a little warmer than the NAIT 2 and bit less compressed at higher volumes, but again didn’t quite have the rhythmic ‘swing’ of the Salisbury box. 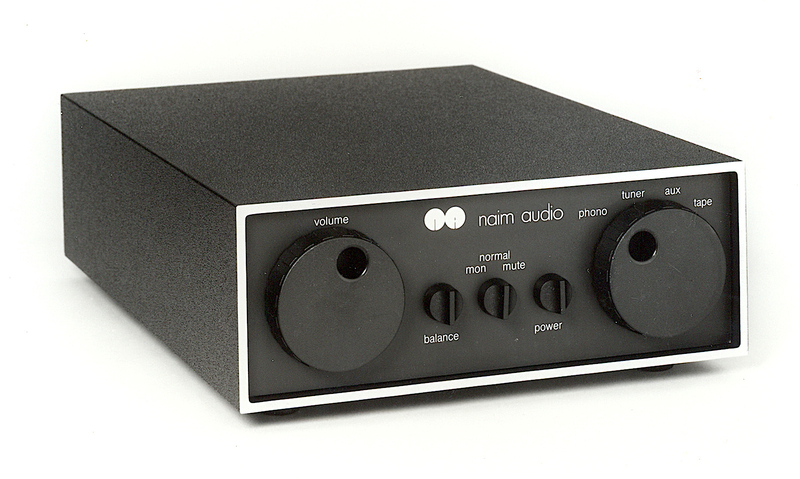 The NAIT 2 came in two versions; the first ‘chrome bumper’ ones [pictured] had the company’s black and silver casework which it had used since its inception in the early nineteen seventies, but the relaunched ‘olive’ version appeared in 1990 and matched the rest of the revised range aesthetically. Chrome bumper ones are a little rarer than olive NAIT 2s, but in 1993 the NAIT 3 arrived so the latter aren’t exactly thick on the ground either. Either type is a good buy, because Naim can service both in its factory, restoring its performance to ‘as new’ with new power supply capacitors and general recalibration. It’s a great little amp, a slice of history and has cult appeal too.